Thank you for coming home to Albright! 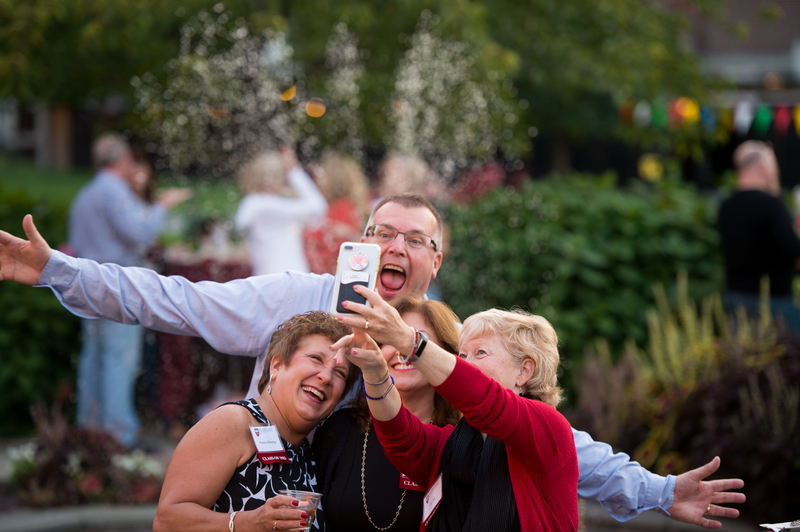 Homecoming 2017 was marked by milestone reunions, love of alma mater, rekindled friendships and many celebrations. Highlights from the event-filled weekend included the crowning of the 2017 Homecoming King and Queen—Jack Duncan and Savannah Peck—the induction of four alumni into the Albright Athletics Hall of Fame—Russell Benditt ’01, Lakeisha Fairley Brown ’05, Andrew Ikeler ’05 and Jack Sudol, M.D. ’54—and the football team’s expression of team unity at the start of the game against Delaware Valley. Prior to the game, the team made a team-wide decision to both kneel during the coin toss and stand during the National Anthem. This action was implemented as an expression of the mutual respect team members have for one another and was intended as a way to find common ground in a world with many differing views. As the team entered the field carrying the American flag, a statement expressing these sentiments (below) was read over the public address system. 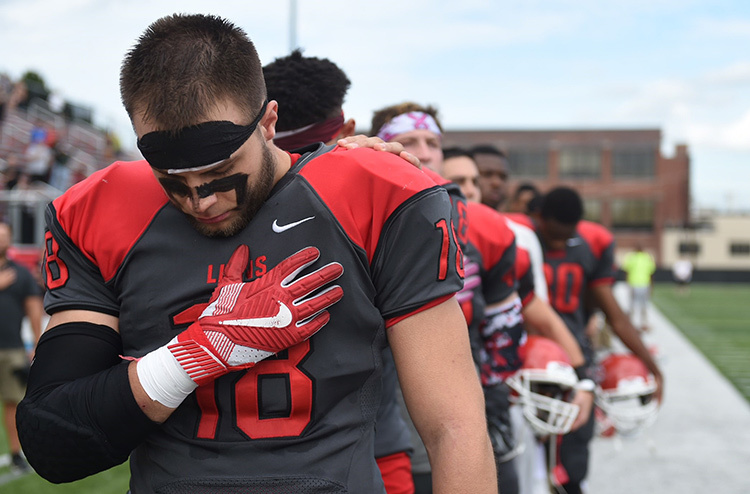 It was a great day to be an Albright lion! “Inside these white stripes is a perfect world. Inside this space, the game does not care about the color of our skin. It does not care how thick or thin our wallet is, what kind of car we drive or by what name we call God. It only measures us by how hard we work, how well we work together and how quickly we learn from and teach through its lessons. On this field nothing is given but everything is earned. It is truly a perfect world. We believe that our role is to expand the dimensions of this field and take those lessons and teachings with us into our classrooms and our dormitories; into this local neighborhood and back home with us to our families, our churches, our communities and into our society as a whole. We storm this field behind the American Flag as a symbol of our commitment, our unity and the value we place on our freedoms. We both kneel and stand tall out of the mutual respect we have for each other and the value we place on our differences; because we believe that teamwork is not about tolerating our differences, but about valuing them.